Are you trying to change something for WordPress blog but changes don’t apply? For example, you just added a new image, edited your theme or fixed a typo in a blog post but cannot see the changes on the front-end? There is a great chance this issue is caused by WordPress caching plugins. These plugins decrease website loading time by generating server side cache of the WordPress blog. However, sometimes serving cached copy of the website can cause inconvenience, especially if you want to apply changes for your blog. In this tutorial you will learn how to clear WordPress cache on 3 most popular WordPress caching plugins. Navigate to Settings and press WP Super Cache button. Press Delete Cache button which is located under Delete Cached Pages. That’s it, you successfully deleted cached pages. 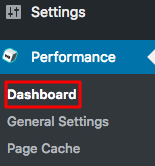 Press on Performance and hit Dashboard button. 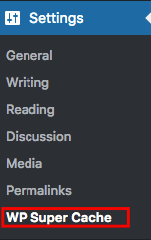 Hit empty all caches button which is located at the top of the page. Great, you just successfully cleared cache generated by W3 Total Cache plugin. Login to your WordPress administrator dashboard. Access WP Fastest Cache settings page. Select Delete Cache tab and hit Delete Cache button. That’s it, you successfully deleted cached files. WordPress caching plugins is a great way to speed up WordPress site. However, an outdated cache can cause inconvenience for you and your visitors. By finishing this tutorial you have learned how to clear WordPress cache on 3 popular caching plugins. If you still cannot see the changes made for your WordPress blog, try deleting your browser cache as well. Can i change my blog plugin from “wp total cache” to “wp super cache”? Without losing any SEO and Rankings? Sure. It should not affect your SEO rankings at all.